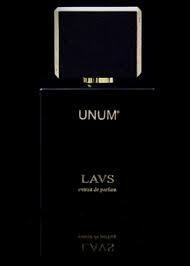 Unum Lavs has done that rare thing you want every perfume to do – distract you so much that you can’t seem to find interest in other fragrances. Unum Lavs has a cool back story, so let’s start there. Well, start with Nero Profumo’s post on this, which is where I got the history, as well as a great review of Lavs and the other Unum fragrances. Lavs started out as a room spray. Listen, given my rambunctious spritzing of it, it’s becoming a room spray here too. An expensive room spray, so I’d like them to reissue the room spray version of this. It was a spray used to scent garments as well, and did perfume the both Pope Benedict and Pope Francis’ garments. Popes that smell spectacular for sure, this is a good thing. Anywhistle, the room spray got reworked and turned into a fragrance. Now, Unum Lavs is that rare thing – a small perfume house with a little fragrance that starts this shitstorm of interest because — who knows? Someone talks about it, it gets a great review, more people talk about it. I’ve learned to catch those perfume unicorn signs early and try to get in the front vanguard of the lemming pack because they are almost always right. They absolutely are about Unum Lavs. It is the best incense scent I’ve ever smelled. This is coming from a diehard Armani/Prive Bois d’Encens and Comme des Garcons Avignon fan. Listen, I’ve got a whole post devoted to frankincense and myrrh fragrances and my deep devotion to them. My house has incense burning daily in almost every room – oriental, Japanese, that ridiculously expensive Fornasetti stuff that I’m deeply in love with. There is no lack of love for all things incense in my nose. Incense fragrances are subtly different. CDG Avignon is more reality (deep in the church with rosary beads) and Armani Bois d’Encens is a cold, chilly incense that is calming. Unum Lavs is some hybrid that takes in both Avignon and Bois d’Encens qualities and then infuses it with breath. Notes of Jasmine, Cardamom, Black Pepper, Elemi, Coriander, Clove, Labdanum, Opoponax, Palisander Rosewood, Amber, Oakmoss, Tonka Bean are piled into this scent. I’m thinking it’s the jasmine, tonka and spices that make it soar, pulling in parts of life into the reverence. Incense, much as I love it, is often too pristine. Unum Lavs is not that. It’s also not a THOT either, so don’t be going down that road. It’s “church tongue.” If you ever saw “The Wedding Singer,” you know what I mean. Romanticized contemplation. Unum Lavs has a great lasting life. It hangs around on me for the better part of a day, shifting, the incense being softened by the jasmine and spices, retaining all the resin, making it easier to wear. The problem often with a long-lasting incense fragrance is you get tired of smelling it long before it’s done wearing you. So, yeah, love, and I wish I could tell you why with more specificity. It’s perfect for me. Right now it is only available in the U.S. at Twisted Lily in Brooklyn. Not sure how long before it hits other retailers, but I’m thinking not that long because… demand. Winners of the New York Favorite sample giveaway are – flowergirlbee (Malle Indelible) and Ashley A (Malle indelible). Winners of the Dior Feve Delicieuse samples – monkeytoe, emjhenry and calshopper. Just click on Drop Us a Note at the top of the blog, send me your name and address and remind me what you’ve won. I’ll send you a quick “got it” e-mail so you know it didn’t drop into my spam filter and then get it sent to you. Let’s do a giveaway on this one. I’ll give four lucky commenters drawn at random a sample. Tell me your favorite incense fragrance or do you even like incense fragrances? Right now my favorite incense frag is April Aromatics Calling All Angels. Thanks for the draw!! Lavs sounds divine. My favorite incense is a toss up between Avignon and Tribute Attar, and I would love to smell LAVS. I just looked this up on twistedlily. My goodness, their bottles are 100ml of extrait concentration perfume?? Wha — I can’t even. Time for some serious splittage. Thanks for the draw! oh…always and forever, the mythical and no more Mathew Williamson Incense…created by Lyn Harris of Miller Harris…..swoonworthy and highly missed! Would love to sample Unum Lavs! thank you! I’m a sucker for incense scents, and I love Sonoma Scent Studio’s Incense Pure so much it’s not right. Second in line is CDG Jaisalmer. I’m always trying new ones, but nothing has even come close to these two for me. Okay Fille en Aiguilles, but I really have to be in the mood for that one. (And now that I mentioned it, I kind of am.) Please include me in the draw…thanks! I love Rien and Rien Intense by Etat Libre d’Orange but would love to try this one. I love Avignon, and also Sahara Noir, by Tom Ford. And Passage d’Enfer, by L’Artisan Parfumeur. I am dying to try this one. The favourite incence perfume of mine is Kyoto by CDG, I simply love the soothing delicacy of this woody blend.. I grew up catholic, so… Yeah, incense is my jam. My husband got me a small brass burner and some different resins to experiment with. I find true incense smells a bit hard to wear. I love dabbing a bit of Avignon on my hand and huffing away, but I’m not sure how I’d feel about wearing it out. I currently like Mirzah or Sahara Noir for a more cozy incense (though I own neither). I’m a lover of incense as well. Incense Pure is probably my favorite incense perfume but I also love a Rien, Kyoto, and Avignon. For burning I love copal resin more than just about anything. I’ve been wanting to try Lavs since I first heard of it. Thanks for the opportunity! Does 10 Corso Como count? I also love the CdG incense series 🙂 Thank you! My favorite incense fragrance is not just one, but many. The first is CDG’s Avignon, the second is Norma Kamali’s Incense, and then Tauer’s LADDM,,Tom Fords’s Sahara Noir, Heely’s Cardinal , L’Artisan’ Passage D’Enfer, and Serge Lutens Fille en Aigulles to name just a few. I would really love to smell this one. Thanks for the draw! I just moved to Tokyo (from Colorado) last summer and am falling in love with Japanese incense. Right now my favorites are NipponKodo’s Sandlewood and Esteban’s Tsubaki or Néroli. Your review made me drool a little! I do like incense scents and would love to try more. Avignon amazes me with how photorealistic it is, taking me back to so many insence-stoked Easter celebrations, funerals and weddings in my childhood. I also love Reve d’Ossian which is much lighter and less evocative (sometimes Avignon is too much of a mind warp!) but I’d love to explore this note more. Thanks for the draw! My favourite incense perfumes: Armani Privè – Bois d’Encense (I often spray Bois before I go to bed), CDG – Avignon, April Aromatics – Calling all Angels, LutensFille en Aiguille (is that a true incense perfume?). Oh and Tom Ford – Plum Japonais (a bit incensy). Thank you very much for this review, you have made me real curious about Urum Lavs. My favorite so far is Etro Shaal Nur, but there are many I still haven’t tried, including all the CDGs. Much as I love smelling Bois d’Encens, what I find I actually wear is Byredo’s Encens Chembur, Commes des Garcon Kyoto, and the under-appreciated Santal Sacre from Decennial (Luckyscent’s brand). Plus Chanel No 22 extrait – yes it’s aldehydes and florals but underneath thrums that wonderful, deep incense base – gorgeous! Besides iris, incense is possibly my favourite note. I love YSL Nu, Amouage Epic Woman, and Annick Goutal Encens Flamboyant. Thank you for this wonderful post! It’s always great to be informed about new fragrances so you can keep an eye on them. You make this one sound amazing! My greatest incense love is Amouage Epic, but SL L’Orpheline is beautiful too… Thanks very much for the draw. One can never have too much incense. Picking a favorite is almost impossible. I love Cardinal, Avignon, Mitzah, Kyoto, Incense Purs, I could go on and on. Mmm, sounds lovely! But can it beat Tauer Incense Extreme and Incense Rose? I’d love to find out! I have to agree with previous posters that Calling All Angels is something special. Also love Annayake Miyako. Would love to try this one! That’s my one of my favorite incense scents, too! What do you think about Incensed Short Fuse? Dang, this sounds gorgeous. Big fan of incense here, too many favorites to list. Wearing Wazamba and Kyoto a lot lately. Thanks for the review and the draw! Thank you so much for your insight into this fragrance. I have been keeping an eye out for it for a while now. I LOVE incense fragrances. One of my favorites is 03. Apr. 1968 from Rundholz. It’s Incense bliss! This must be something special to have achieved such high praise. While I finished my sample long ago and never did buy a FB, I loved Wazamba. Sahara Noir is amazing as well. My favorites are Trayee and Josef Statkus, both of which also have jasmine, spice, wood and amber notes. Unum Lav sounds right up my alley. OMG you had me weak in the knees by your third paragraph! It’s impossible to list all the incense I adore, and going back through all my fairy requests usually has those in there somewhere! I burn it, diffuse it, and am ways on the lookout in any form! This sounds absolutely amazing and will be on my next sample list. Those notes! Wow, please include me in the draw!! Thank you so much! Omg! This sounds divine!! I love CDG Avignon and Tom Ford’s Sahara Noir. I love incense period!! I haven’t tried many incense perfumes but I do love Sahara Noir. Would love to smell this one. Incense is one of the first notes I was able to say that I love. I’m also a huge fan of Sonoma Scent Studio Incense Pure, with CdG Avignon a fairly distant second. Must try Unum Lavs!!! I tend to love incense in conjunction with another scent–my favorites are Encens et Lavande and Vanille 44–so this one is extremely intriguing to me! Incense, jasmine, and spice, yum. I enjoy the CdG incense line too, especially Avignon, but I find it less wearable. My collection is without any incense. I need to rectify that, stat! Why not start with the best of the best?! I got a notification from Surrender to Chance and then I looked for a review. I instantly bought a sample. After all if it’s good enough for the popes it has to be terrific. Besides I think Pope Francis is headed for sainthood, not so sure about the other guy. Will let you know when I get my sample. Your review only makes me more impatient to get this frag. I love incense and have tried bunches to come up with my favorites–Kyoto and (no one has mentioned it so far) Jovoy La Liturgie les Heures, plus Incense Extreme, Incense Rose, and Avignon. I’d love to try Lavs! My favorite incense is probably Jaisalmer, but I tend to think of Avignon as the purest incense. Oh incense, how I love thee…My first, who, of course, I will always love is Armani/Prive Bois d’Encens. I must agree that Avignon puts its finger on the button, but I ‘experiment’ with Serge Lutens and L’Artisan’ Passage D’Enfer pretty regularly when the other two are not looking. Tribute Attar is my super secret love that I visit when the time and moment is right. There are so many good suggestions in this post that I wipe a little drool from the corner of my mouth. But this new one? I would love to try a sample. I Would love to try a sample of unum lav. It sounds lovely. I wear Incense Rose quite a lot. Thank you for the draw! I need to try this!! I love incense, but Zagorsk is a definite favorite as well as Chaos and Messe de Minuit. It’s all wonderful!! Guerlain Encens Mythique de l’Orient, which also counts as my Rich Lady scent. Hmm, didn’t realize Rien counted as an incense, thinking of it as my Executive Lady scent. Annie, I love your comment about the Guerlain as your Rich Lady scent — it really is! I feel like a million bucks when I wear it. The late, lamented Angelique Encens. After that, Kyoto. Kamali, Dzongkha, Zagorsk, Kyoto, Gucci-men’s, the one in the big square bottle. Wow, way to create a lemming party! This sounds amazing. I love incense, although I can be sensitive to too much smoke. Eau Duelle is probably my most worn incense. Thank you for the draw! I love incense across the board and my favorite is Juozas Statkevicius. Thank you for the draw. OH MY GOD. That is all. I forgot about ‘The late, lamented Angelique Encens’. I have a small sample and am trying to make it last as long as possible. I love incense in all forms, Bois d’Incense yes please! Someone gave me a sample of Norma Kamali Incense too, which I have hoarded but should get over myself and just use it. Looking forward to Unam Lavs to be more widely available. Ooh, Patty — you’re killing me with this one! Sounds off-the-charts incredible and here I am saddled with bronchitis and no sniffing. DNEM, of course, and thanks for the draw, as always! I love burning incense but haven’t yet found a fragrance that quite does it for me. This sounds wonderful and I would be thrilled to catch a whiff! Thanks for the draw! This sounds incredible. My current favorites are Iris Nazarena and Cape Heartache (not sure if this is classified as one, but it smells exactly like this incense I burned in high school). Thanks for the draw! My fave incense frag is probably Shaal Nur by Etro! Of course, I’m always willing to be converted… Thanks for the draw! My grams passed on her love of incense to me, so this note in perfumery has always been dear to me. I absolutely adore Dior Mitzvah — it reminds me exactly of my grams. Messe de Minuit is an interesting one, too. I tried Silk Way, but didn’t get any of the incense that others detect. I really need to explore more incense scents to wear. I love burning Japanese incense and this one sounds intriguing. Thank you for the draw! I love all kinds of incense and burn it frequently in my home. However, I struggle with the perfumes. Most incense perfumes are too strong to wear all day. Many I have high hopes for only to try scrubbing them off after a few hours. Those I do well with are those cut with floral or lighter scents. My favorite fragrance that combines two of my loves is Sweet Redemption By Kilian. Orange blossom and incense – such a gorgeous pairing! Thanks for the draw. I ‘d love to try this as it sounds like it might work for me as well. Well, in common with at least HALF the folks here, I am a huge fan of Avignon. I have tried 2 more in the CdG series but so far that’s my favorite….. I don’t have a favorite incense. At the moment, my favorite essential oil is by DoTerra, Elevation, citrus-y and sweet. I’d love to try this incense from your description!! Incense is a note I like, I found it very striking in the Relique D’Amour by Oriza L. Legrand. This sounds intriguing too. I don’t have a favorite incense yet, so I’d love to try this! And OMG, I’ve seen the Wedding Singer more times than I can count, so I got the “church tongue” reference instantly! Thanks for the LOL and I think I’m gonna have to dig out my DVD now! ‘Church tongue’ – yup. Extensive experience of incense fragrances – nope. But I did grow to love a decant of Lorenzo Villoresi Incensi despite it being drier that my typical taste. My favorite incense scent is actually a lotion and body oil that is a perfect match of Nag Champa. Sooooo good! And Unum Lavs is on my test list now! Am lucky to have a decant of Kamali’s Incense. Nothing quite as liturugical as that for me. Donna Karan’s Essence Labdanum is really good too. Also love incense-y wonders like Amouage Memoir Woman, and Tom Ford’s Plum Japonais. Spent all winter burning resins in a tiny metal cup on our woodstove. Loved this so much, I sprung for a few bakhoors and an electric incense burner for the warmer months. I can’t wait to see what a Pope smells like! I don’t know about church incense… I only know about incense burned because of illicit doings or cat litter problems during the ’70s. My idea of incense is DSH Amouse Bouche for which I could chew off my arm. But I’m on a BIG learning curve from only white florals to now: Theorema, ELDO Like This, Traversee du Bosphore and Bal a Versailles. I cannot wait to try this…as soon as STC gets it back in stock or if I’m lucky enough to win a sample.